20-year-old Lucy Cunningham has never kissed a boy, never had a job, and never really had friends. Her best friend is her mother Claire, who has shielded her from all the bad in the world. Claire stumbles into a bizarre and wonderful festival of the films of Federico Fellini, the great Italian director. In a burst of courage, Lucy leaves her small-town home to find the filmmaker and unlock his mysterious enigma and her own. What follows is a strange and spectacular journey through the romantic dreamscapes of Italy, as Lucy encounters not just characters from Fellini’s films, but the fantasies and nightmares that defined him. Her journey of discovery and life, counterpoints Claire’s gradual decline into death. 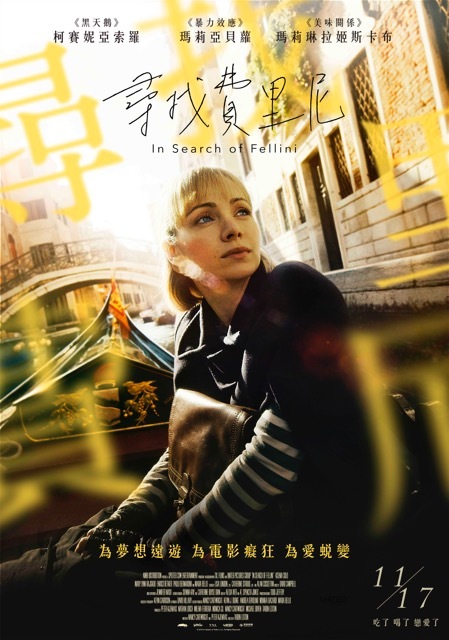 Apart but connected, they fulfill both of their dreams as truth and fiction intertwine into the ultimate Felliniesque journey.